The Shubert brothers were theatrical managers and producers of the largest theater empire in the 20th century. They were Lee Shubert (1873?-1953), Samuel S. (1875?-1905), and Jacob J. (1879?-1963). Samuel S., Jacob J., and Lee Shubert were born in Eastern Europe on uncertain dates in the latter part of the 19th century. Their parents, David and Catherine, brought the family to Syracuse, New York, in 1882. David Shubert, an alcoholic, could not support his family in their new home, and the boys were forced to go to work. At the age of ten Lee Shubert began selling newspapers in front of a local theater. He was soon joined by his brother, Sam, who found his way inside of the theater when he was cast in a small part in a play directed by David Belasco, a prominent theater director. Sam quickly fell in love with the glamour of the theater and adopted many of Belasco’s mannerisms. He went from actor to program boy at the Bastable Theatre, to assistant treasurer of the Grand Opera House, to treasurer of the Wieting, Syracuse’s most distinguished theater. As Sam Shubert was ascending the ladder of theatrical management, a pattern was established among the brothers of backing each other’s work. This pattern would remain with them throughout their careers. When Sam Shubert was named manager of the Bastable Theatre (1897), Jacob, the youngest brother, was working at the Wieting, and Lee was the bookkeeper for both theaters. By keeping their hands in as many theaters as possible the Shubert brothers began building what was to become the largest theatrical empire in the United States. Their first business venture in the theater was to attain the New England touring rights to Hoyt’s “A Texas Steer.” Shortly after this success the brothers formed their own theater, the Baker, in Rochester. While Jacob Shubert turned the Baker into a successful stock company (with shows running in repertory), Sam and Lee acquired the Grand Opera House in Syracuse. By 1900 the brothers managed five theaters in New York state. They had also defined their individual roles in the business — Sam was the creative leader, Lee developed the business, and Jacob dealt with out-of-town productions. 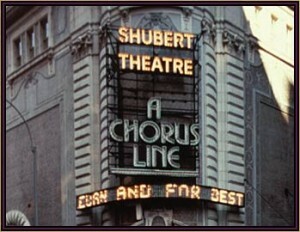 New York's Shubert Theatre during the run of "A Chorus Line." The brothers had raised themselves swiftly out of poverty and had become respected theater managers. But this was not enough. They wanted to produce their own plays, and their intense ambitiousness drove them to New York City. In 1900, with borrowed money, the brothers moved to New York City and acquired the Herald Square Theatre. Although they didn’t produce their own plays, they turned the Herald Square into one of the most successful theaters in New York with smash hits such as “Arizona,” the first Western, by Augustus Thomas and featuring Lionel Barrymore, and “The Belle of New York,” an English import. By 1904, after ten years in the business, they had acquired ten theaters, including the Casino and the Princess in New York City; the Hyperion in New Haven, Connecticut; the Dearborn in Chicago; and the Colonial in Boston. Around 1901 the brothers had also begun to produce plays of their own, with successful productions including “The Chinese Honeymoon” and “Emerald Isle” (1902). On May 12, 1905, at the age of 30, Sam Shubert died of injuries sustained in a train wreck near Harrisburg, Pennsylvania. At the time of his death he had 13 theaters that included one in London, a string of producing credits, and a play (“Fantasia”) to his credit. He was also involved in a theatrical war. The rapid growth of the Shubert Company was a threat to the Syndicate, a group of producers and theater owners who literally controlled American theater in the early 20th century. 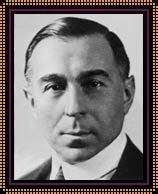 The Syndicate, led by Abe Erlanger and several other producers, owned three quarters of the theaters in the country; therefore, if someone wanted to work in the theater they were practically forced to work for the Syndicate. This was only the beginning. In 1924 the Shuberts had 86 theaters in the United States alone; they were making $1 million a week in ticket sales; and they controlled 60% of the legitimate theater in the United States. In addition, they owned their own ticket brokerage, a dancing and singing school, and an enormous amount of real estate. They were also producing one quarter of the plays in America, and Lee Shubert was on the board of MGM. In 1924 the Shuberts had 86 theaters in the United States alone. While the brothers had essentially formed their own trust and were in constant litigation, the Shuberts did introduce to the stage many of the finest actors of the time, including the Marx Brothers, Will Rogers, Jack Benny, Al Jolson, Eddie Cantor, Bert Lahr, the Barrymores, Spencer Tracy, and dozens more. They also add to their credit the U.S. premiere of the innovative director Max Reinhardt’s production of “Sumurun” (1911); the premiere of the well-known “Children’s Hour” (1934) by Lilian Hellman; the production “Hellzapoppin” (1938), one of the longest running plays in history; and the development of the “spectacle,” with the creation of a 40-foot-deep water tank at the Hippodrome. Yet despite the fact that Lee had written a play and Jacob directed frequently, their contribution to the theater was not artistic — it was strictly business. Ironically, it was Lee who was named head of the Little Theatre, America’s first attempt at creating a national theater based on artistic rather than commercial aims. At the time of Lee Shubert’s death in 1953 at the age of 80, the brothers had produced 600 shows under the credit of “Mssrs. Shubert presents.” They had also booked 1,000 shows into their numerous theaters. They had essentially stopped producing their own shows and were primarily backing other productions and booking companies around the country. In 1956 they were faced with an anti-trust suit and were forced to stop their booking business, yet their vast acquisitions of theater real estate continued to make the Shubert Corporation one of the largest theater operations in the country. Still controlled by the Shubert family in the mid-1980s, the company continued to lease theaters and manage real estate. The Shubert brothers developed new theater districts all over the United States. They employed thousands of theater people over the years. They were partially responsible for the formation of Actor’s Equity (the actors needed a union in order to face their power). They had also turned theater into a large scale, commercial business which concerned itself with popular taste rather than art. Jacob Shubert died in 1963 at the age of 85. Source: Excerpted from ENCYCLOPEDIA OF WORLD BIOGRAPHY, 2ND ED. 17 VOLS, Gale Research, © 1998 Gale Research. Reprinted by permission of The Gale Group.